HEAVY snowfall has cut off many villages and resorts across the Alps, trapping some 13,000 tourists at Zermatt, one of Switzerland's most popular ski stations, say officials. Helicopters spent two hours airlifting some of those stranded to nearby villages, while others remained stuck in the resort for a second day running after snow blocked road and rail links. In the Pyrenees, a skier was killed and another injured after avalanches in Aragnouet on the slopes of Pique Poque mountain, according to local police. In the French Alps, a slight break in the weather meant rescuers could begin looking for a British skier who went missing on Sunday in the resort of Tignes, police said. "The persons in charge are working with high pressure," a statement said on Zermatt's official website as tourists and locals bedded in for another night in the resort. But an avalanche risk at its highest level means the stranded tourists will not be able to take advantage of the abundant snow for the time being. "It is not possible to do downhill or cross country (skiing), but that's OK. It's a bit romantic," resort spokesman Janine Imesch told AFP, adding that "there is no panic." 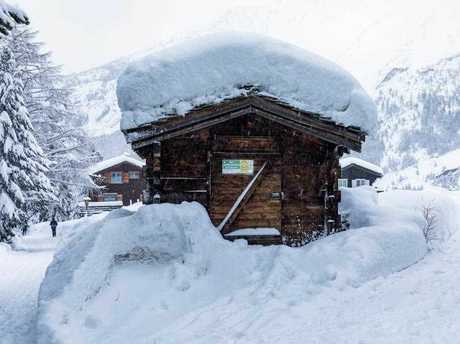 The heavy snowfall also caused power outages in some other areas of the southern Swiss canton of Valais, and a number of other villages were also cut off, with the Simplon region of Valais hit by two metres of snow over 24 hours, the ATS news agency reported. Mud and rockslides, as well as flooding, closed a number of roads across Valais. At lower altitudes, heavy rains forced the evacuation of around 20 people from Eyholz village with the nearby hamlet of Mottec also emptied as a precaution, Swiss media reports said. Further to the north, snow and high winds prompted the cancellation of Tuesday's first men's World Cup downhill training run in Wengen, in the canton of Bern, organisers said. Although the piste itself was unaffected, overnight winds of up to 200 kilometres per hour caused significant damage to infrastructure on the course, notably at the finish where tents and the stands were hit. In the Italian Alpine resort of Sestrieres, where more than two metres of snow fell in 48 hours, an avalanche struck a five-storey building late on Monday, sending a mass of snow and broken branches into its corridors and even into several apartments, media reports said. But the 29 people staying there managed to escape unharmed through the garage. Around 100 people at the resort's converted Olympic village complex, which housed athletes during the 2006 Turin Games, were also evacuated over fears the weight of snow could cause the roof to collapse. 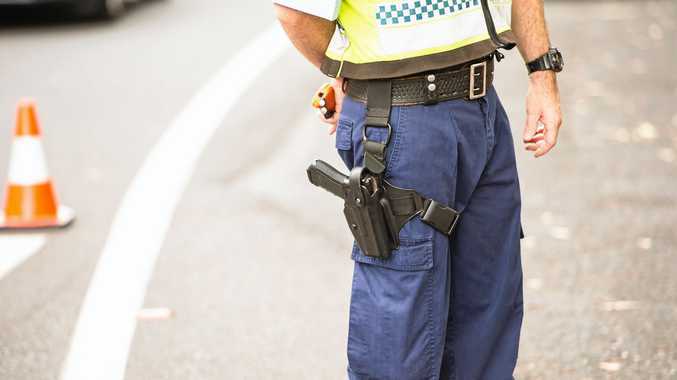 Emergency services struggled to reach people in need of help and a 70-year-old woman was declared dead on arrival at the local hospital after the ambulance sent to pick her up was delayed by a fallen tree. Heavy snowfall has blocked access to some Italian resorts and villages, among them Cervinia in the Valle d'Aosta region. But with the school holidays now over, the number of tourists and residents cut off was around 5,000, sharply down on the 11,000 people in the area last week, Italian media said. On the French side, where Meteo France said Tuesday the avalanche threat has diminished, rescuers were able to start looking for a British skier missing for the past two days, with a helicopter searching the area where a signal from his mobile phone was last picked up. The 39-year-old went missing in the resort of Tignes on Sunday after saying he wanted to complete "one last run", police said. Parts of the Savoie area of the Alps have seen up to 1.8 metres of snow in just 36 hours in what French forecasters described as snowfall only seen "once every 30 years."